Ultra Carbide LLC was established in Spring 2001 with a central warehouse in Michigan to provide better availability and expedited delivery for our North American customers. In 2005 a warehouse in Kitchener, Ontario, Canada followed to expand our services for the Canadian customer base. Ultra Carbide’s manufacturing division consists of two plants that are completely separate entities: Konrad Friedrichs GmbH & Co Kg in Kulmbach, Bavaria and G-Elit Hard Materials in Berlin – one of the world’s largest facilities of its kind. During the last 2 decades, we have been supplying leading cutting tool manufacturers in the U.S. and Canada directly through these two manufacturing facilities. Our principal focus is on carbide-rods for the production of rotary tools, and special parts to customer specifications, so called components. As a result of our patented technologies we are able to meet the vast majority of our customers’ requirements. Regardless of the architecture, single central duct, parallel straight coolant duct or helical coolant ducts with up to 5 ducts, Ultra Carbide offers various duct diameters, bolt-circles, and helix angles. 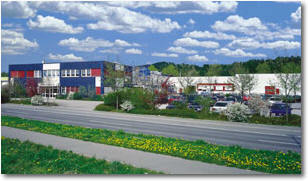 In 1988, Berlin Carbide acquired its current building in Berlin and founded its first independent carbide manufacturing plant G-Elit Hartstoffe (Hard Materials). This enabled the company to develop and produce optimally suited carbide materials for its tool production, allowing Ultra Carbide to be flexible and react quickly to new machining trends. The subsequent results are naturally also available for customer tool applications. The quality of our products is our first and absolute priority. We define quality as the process (choice of grade, geometry, and tolerance specifications), the documentation and the repeatability (DIN EN ISO 9001: 2000 certified), along with supplier loyalty, suitable logistics and reliability. We therefore invest considerable time and money in the area of quality inspections. In this respect, the carbide production process in particular requires the most stringent quality requirements: Every customer production order automatically undergoes a thorough metallurgical inspection prior to release. For example, samples are RFA-analyzed; ground sections of specimens are produced; and physical data is gathered and documented. All data is filed and can be accessed as and when required. Every carbide rod blank leaving our facilities will undergo a one hundred percent inspection for roundness, and IC rods will also have their spiral angle inspected – all this is part of our quality standard. In addition, we inspect every complete rod for possible error spots in its structure. Shrinkage inspection of carbide preforms ensures specific requirements are being met. Architecture is in the detail. The carbide manufacturing division in Berlin, Germany resides in listed buildings in the “Bauhaus” style. A special feature of our carbide manufacturing division in Berlin is its rather unusual architecture: The factory is actually a listed building built in the early 1930’s in accordance with the concepts and specifications of the “Bauhaus” movement and style. To this very day, these buildings provide the best solution for the work place design. An extensively glazed facade with a total area of 8,700 m² gives the building an open and inviting appearance from the outside, while offering an interior that is flooded with daylight and hence serves as a particularly pleasant working environment. Furthermore, the complete production area is on one level, thus ensuring that all working sequences and procedures run smoothly. In 2005 we added the Konrad Friedrichs product line of our then fully owned Konrad Friedrichs (KF) plant to Ultra Carbide’s offerings in North America after co-owning and working with Konrad Friedrichs KG for nearly two decades. At our KF plant more than 85 employees manufacture over 40 tons of carbide per month, primarily supplying the precision tool industry. The KF plant has set trends and standards in the carbide industry for many years and continues to do so: A patented extrusion process and continuous grade development are only a few examples. In recent years new grades like K6UF and the enhanced K55SF have been extremely successful and also have been made ‘extrude-able’. In fact, the micro extrusion of various grades allows for new innovations in the field of coolant-fed micro drills. In 1987, the production of carbide products started in the Upper Franconian town of Kulmbach, Germany, with a focus on the manufacturing of precision tools. Since that time, hand-formed parts and custom-designed special parts have been manufactured along with rods and flat bars. A major and trendsetting milestone was the development of carbide rods with integrated straight or helical coolant ducts that meet the increasing demand from the machine-tool industry for high performance tools. Rods without coolant ducts, as well as rods with straight and helical ducts, are being produced using optimized manufacturing processes and fine-tuned successive production steps. The worldwide patented process for manufacturing carbide rods with integrated helical coolant ducts in conjunction with superior product quality, development know-how, and customer service, allow Konrad Friedrichs GmbH & Co. KG to maintain an exceptional position in the world market for carbide rods. Our carbide grades K44UF, K55SF and K6UF have established a worldwide benchmark. We continue to meet and exceed the increasing performance demands from the machine-tool industry by focusing a major aspect of our R&D activities on the continued improvement of existing grades, particularly with respect to adapting material properties, e.g. hardness and toughness, to special customer requirements. Most notably in this context are high-performance cutting as well as high-speed cutting, hard machining, and innovative composite materials. In 2005 we intensified our research activities in these areas, assigning a significant portion of resources to these projects. The entire team of Konrad Friedrichs GmbH & Co. KG and Ultra Carbide is eager to further expand and improve our flexibility, the worldwide distribution net, and our superior development know-how. Our (DIN EN ISO 9001:2000) certification is the basis for the sustainable production of high-quality sub-micrometer carbide structures. We completely and consistently maintain the documentation for every process step to allow without exception for any product to be traced back and reproduced. Copyright © 2019 Ultra Carbide LLC. All rights reserved.